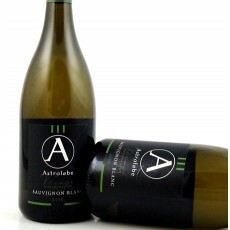 Another superb Marlborough Sauvignon Blanc from the talented crew at Astrolabe. Pale straw with green highlights. Lemongrass, lime peel and elderflower, with background notes of white currant and red pepper. Medium-bodied with white peach, gooseberry and citrus flavours, and a dry mineral finish. Gisborne, where he specialised in Chardonnay, and eventually to Marlborough where in 1996 he and his wife Jane Forrest-Waghorn joined with old friends Paul Davenport and Sally Lewis to have a go at their own label…and so began Astrolabe. Today they work with a number of growers scattered all over Marlborough, from Awatere valley to the Kekerengu coast to the Wairau Valley, developing a wide portfolio of iconic wines that celebrate the varieties and terroirs of Marlborough.